Atopos cvc invites Francesca Granata, one of the authors of NOT A TOY, Atopos’ new edition, to guide us through the exhibition ARRRGH! Monsters in Fashion. 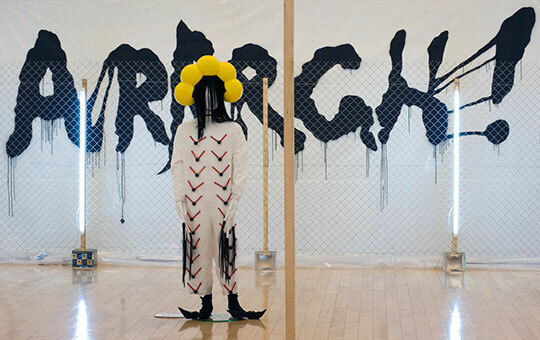 Granata’s essay on the grotesque in contemporary fashion, examines the growing influence of the culture of contemporary art for today’s designers, a culture that catalyzes physical and creative boundaries and creates grotesque and hybrid images. During her guided tour of the exhibition, Francesca Granata will examine the theme of the grotesque body and its interpretation in fashion, using the exhibits as examples.